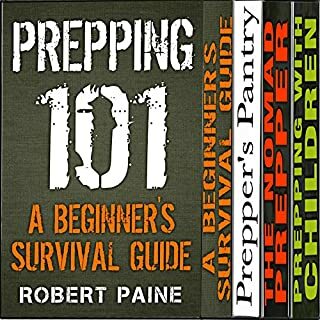 If you could sum up The Ultimate Prepper Collection in three words, what would they be? What about Don Baarns’s performance did you like? His voice is mature, yet friendly. He makes a topic that can seem intimidating feel accessible. The sound quality seemed very good to me, both through my laptop speakers, on my Kindle, and in my car.